On Wednesday, November 14, 2018, the West Virginia University community will approach supporters for the second annual Day of Giving. Last year, our School of Dentistry donors wowed WVU Foundation and Health Sciences Center leaders with quick and generous support. Friends of the School of Dentistry have given or can give to scholarships, faculty fund, facilities fund, dental century fund or a fund of choice. Each gift makes a difference. Scholarships to attract the best students. The faculty fund helps entice the most skilled educators to guide our students. A facilities fund will help us provide a positive, productive and updated space for educating and treatment. 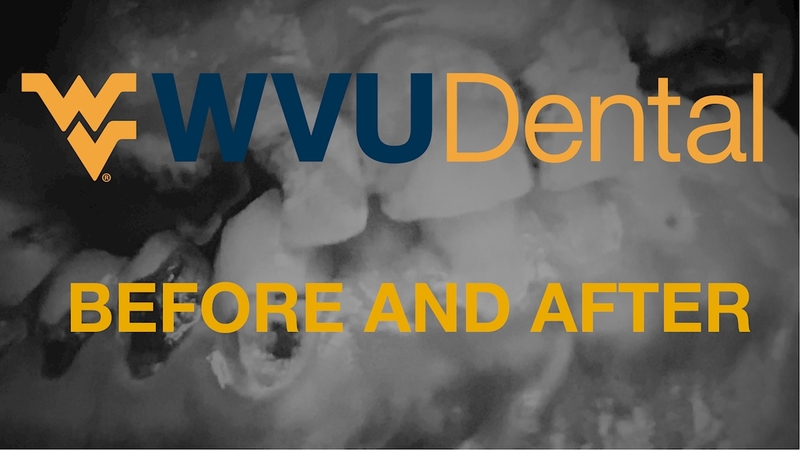 Please watch* as 2018 WVU School of Dentistry graduate, Rob Waldrop, DDS, and his patient take you through just one of the remarkable transformations to come out of the state’s only dental school. *Some viewers may be sensitive to the before and after images in this video. Dr. Waldrop is completing a General Practice Residency in Dentistry at Penn Medicine Lancaster General Health in Lancaster, PA.
Special thanks to Conner for sharing his story.